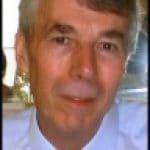 PowerShell 3.0 -passthru Parameter | What's New? PowerShell’s -PassThru parameter has found signficantly more uses in PowerShell 3.0. In a nutshell -PassThru shows you the results of a command that would otherwise be silent. What Else Is New In PowerShell 3.0? 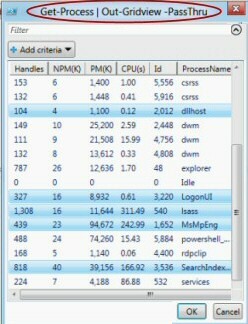 Let us take this example where we are using PowerShell 3.0 to display the processes. The benefit of the -PassThru parameter comes when you select rows with the mouse, and then click OK. The result is that PowerShell refreshes the output. Take the screenshot to the right where I have selected just 5 rows, dlhost, LogonUI, lsass, MsMpEng and SearchIndex. When I pressed ‘OK’, the result was a display with just those 5 rows. Note 1: Parameters.Keys is the crucial property. Here is an example where you want to rename a Windows computer. Note 2: To get this working you need to change $Old to the value of your machine; don’t worry the -WhatIf will stop this actually renaming this computer. This is how to get started from the Metro user interface in Windows 8. From anywhere in the Metro UI, press the ‘p’ key. You should see a list of the programs and Apps beginning with ‘p’. 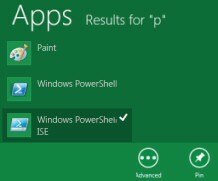 At this point you could ‘Pin’ the ‘Windows PowerShell ISE’ by right-clicking and selecting ‘Pin’ at the bottom right of the screen. The best way to learn about PowerShell’s -PassThru parameter is by experimenting with examples such as Stop-Process or Out-GridView.